Where can I pre-order. Please take my money!!! Wait until E3 next year when Amazon offers their preorder discount (hopefully they will again). 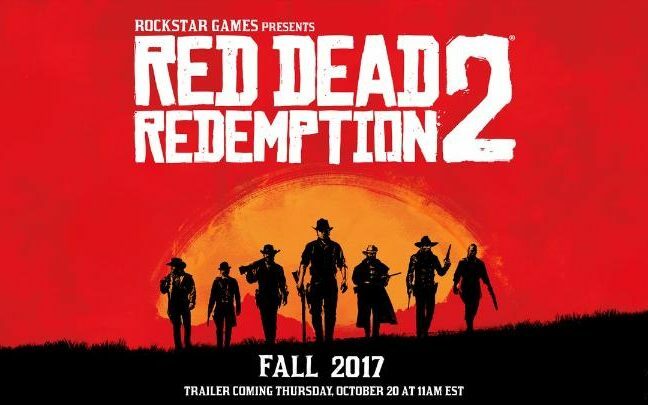 Suckers, I haven't even played the first one so my wait will be much shorter as I'm grabbing a copy of RDR tonight to check it out. I hope its as good as everyone says. You might be onto something here. Given the announcement, there might be people online for the old game and I can collect some of those multiplayer trophies! Oh, I am WELL aware of that. Great news. I will hopefully be done the Witcher 3 by fall 2017 and can then move on to RDR2. I am not super into video games, so if it were not for CP, I would have never known about the original RDR. Back in 2010 when the CP based EASHL teams were still chugging along with tons of members, I had quite a few members on my friends list. All of a sudden one day everyone stopped play NHL and my friends list was nothing but people playing RDR. Figured I better go check it out and it ended up being one of the most enjoyable game experiences I have ever had. I look forward to the sequel and it will become one of the few games I buy for this generation of console. Would love to see a remastered version of the original (on PC) to tie us over until this one comes out. I'll play with the newbies anytime. I'm always in a mood for rdr. Just pm me your details. If you have Prime the preorder discount is available year round now. I hope they release a remastered version of the first game to give me an excuse to replay it!